We all expect some of the emotional effects of grief but what most people don’t anticipate are the ways grief presents itself in our bodies. In the past we’ve discussed the physical effects of grief but some of those symptoms may be sticking around long enough to create a concern about your health. This could be a good time to take some stock of your health and wellness. If your aches, fatigue or mental fog are creating a concern for you, talk with your doctor. Even if you’re not terribly concerned about a certain symptom, your doctor will likely check things that can silently creep up on you when you’re stressed like high blood pressure or high cholesterol. Grief can make you feel like you’re physically deteriorating. By going to the doctor, you at least get a baseline for where you are now to see how things change in the future. Grief can be completely exhausting and when given the option of a hitting the gym or cocooning up on the couch, the couch often wins. The tough news is that not moving can add to joint stiffness, muscle soreness, and headaches. If possible, make sure you keep moving. It doesn’t have to be a big production, maybe a routine of stretches in the morning, incorporating a stand-up desk at work, or a short walk down your street in the evening. Every little bit helps keep things mobile. If you’re exhausted, depressed, or stressed, the effort to make nutritious meals may feel beyond your capacity right now, especially when it’s so much easier to just stop and grab some fast food. Or maybe the person you lost was the cook in your family. If you’re struggling to incorporate nutrition into your day there are many options to help you get back on track. You can have your doctor refer you to a professional nutritionist, you could try a food service that specializes in pre-made healthy meals, sign up for one of many boxed food delivery services that deliver all the ingredients and recipes to your home, order a healthy selection from a restaurant delivery service, or make time for a local cooking class to give your healthy meal prepping a jump start. Is there a spot that you unconsciously tense up during the day or night? Many people have one. If you’re not sure, try a progressive relaxation exercise. It works best lying down on your back with your knees slightly bolstered up by a pillow. Close your eyes, breathe evenly, and focus your thoughts on your toes. Are your toes relaxed? If you need to, wiggle your toes. Relax your toes and consciously feel the muscles in your toes relax. Are the arches of your feet relaxed? Feel your arches relax. Now work your conscious attention and relaxation up your body one part at a time; ankles, calves, knees, thighs, hamstrings, hips, hands, arms, abdomen, lower back, upper back, ribcage, shoulders, neck, jaw, face, head. Most people don’t even realize they have a tension hotspot until they do this exercise. It’s also a good mindfulness practice that you can use to relax daily. 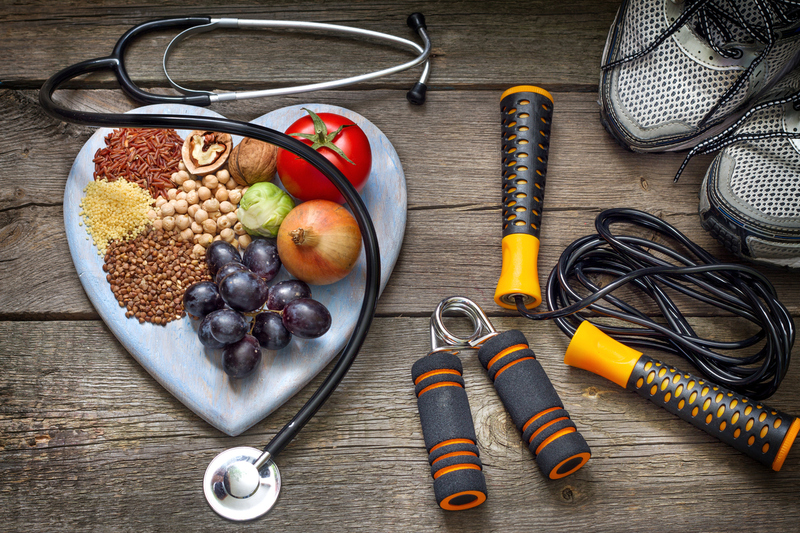 No one expects you to be the perfect picture of health right now, but if you’re looking for a small place to start reinvesting in your personal wellness, these are some simple, actionable options.